Stop settling for typical, get out of the box, and run closer toward the future you imagine. 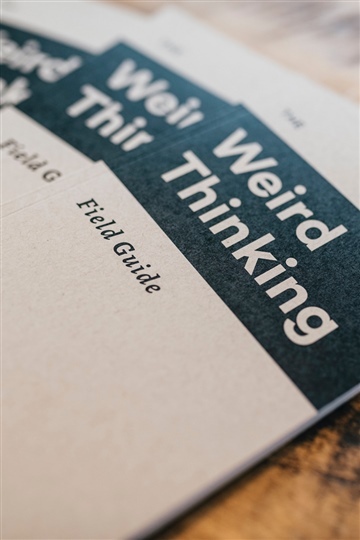 The Weird Thinking™ Field Guide is a 12-step interactive workbook that helps leaders and teams execute their vision with clarity and consistency. 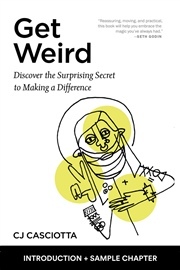 Discover what makes you different and therefore valuable. Articulate your outrageous ideas so they make sense to others. Influence culture and create change. 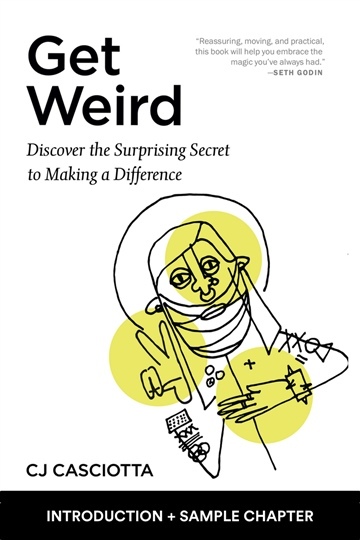 Combining elements from The Hero’s Journey, Lean Business Modeling, & Strategic Planning, The Weird Thinking™ Field Guid is like a massive jolt of electricity for you and your movement. 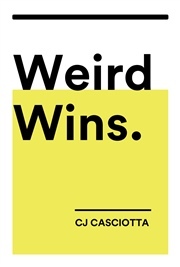 CJ Casciotta (pronounced Cas·ee·ahta) is a writer, serial media maker, and author of the forthcoming book, Get Weird (Hachette, 2018). CJ is passionate about helping people of all ages, shapes, and sizes discover and own their unique contribution to the world, in other words, what makes them weird. As a writer and communicator, he's traveled all over the world inspiring brands like Lululemon, The Salvation Army, and Charity:Water. As a media director and producer he's collaborated on projects with MGM Studios, The United Nations Foundation, and The Huffington Post. 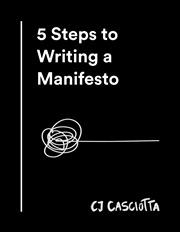 In addition, his ideas have been featured in publications like CBS Money Watch, MTV.com, The Boston Globe, and RELEVANT Magazine. A native New Yorker, he now lives in Nashville with is wife, Kelly, and daughter, Selah. He loves vinyl records, cigars, and drawing monsters when he should be paying attention. "For the last year I've been trying to figure out a way to branch out on my own with my production company. This method gave me a clear insight on developing my "why". I now know who I want to reach and how to focus on one particular service. I've grown my personal client list by 5 since going through this material."